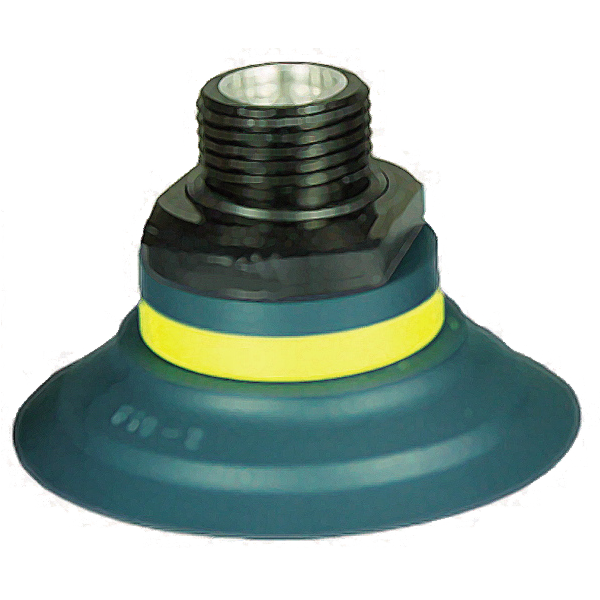 A modular suction cup that fits most machines and that can be optimized for handling almost all materials. piGRIP’s different lip types, optimized for various products to lift, ensure the right hardness/softness and sealing capability for your material. Combined with the firm bellows, piGRIP is stable enough to handle faster accelerations and more high speed lifts as compared to traditional cups. 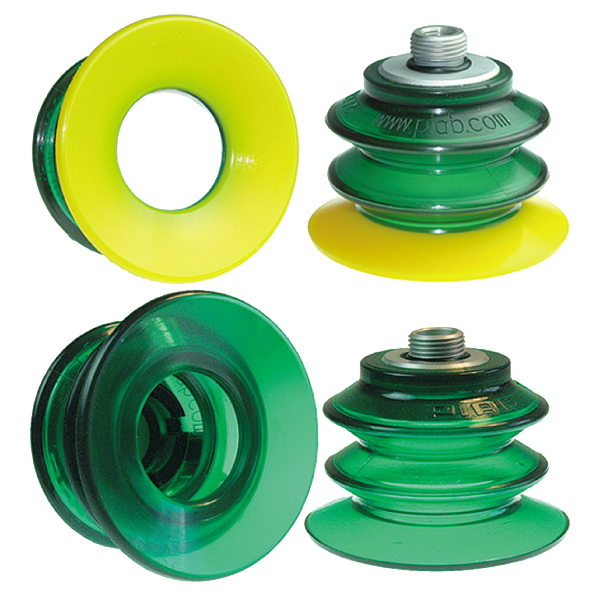 The green standard lip is suitable for relatively even surfaces on sealed materials. It has extra wear resistance. For surface leaking materials (wrinkled or textured) and porous materials, such as corrugated paper. For difficult bags such as pouches and heavy bags with e.g. liquids. Suitable when conventional lips are not sealing enough. 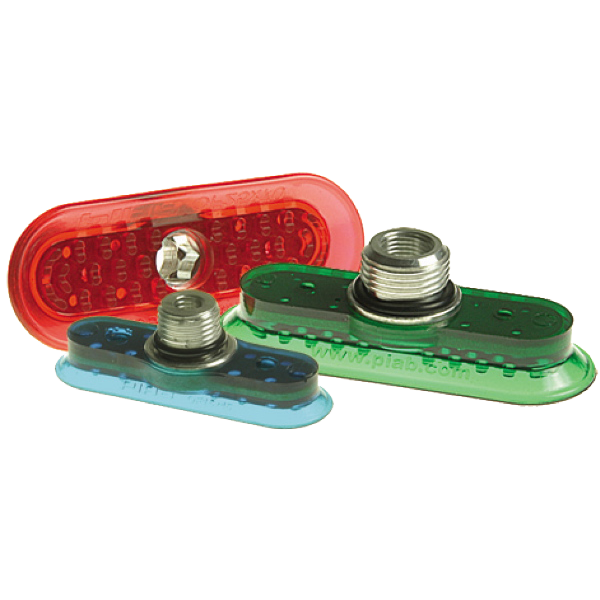 Can replace mechanical grippers. High wear resistance without compromising adherence to the object. Smooth surfaces on objects such as plastic pieces, furniture parts, sheet metal (dry), glass, solar panels, etc. Firm bellow, soft and flexible lip, very high sealing capacity and durability. Textured, uneven and also very rough surfaces on objects such as plastic pieces, wood, sheet metal (dry), glass, corrugated cardboard, carton, tiles, etc. Exceptional grip on oily surfaces. Oily metal sheets and other lubricated surfaces. 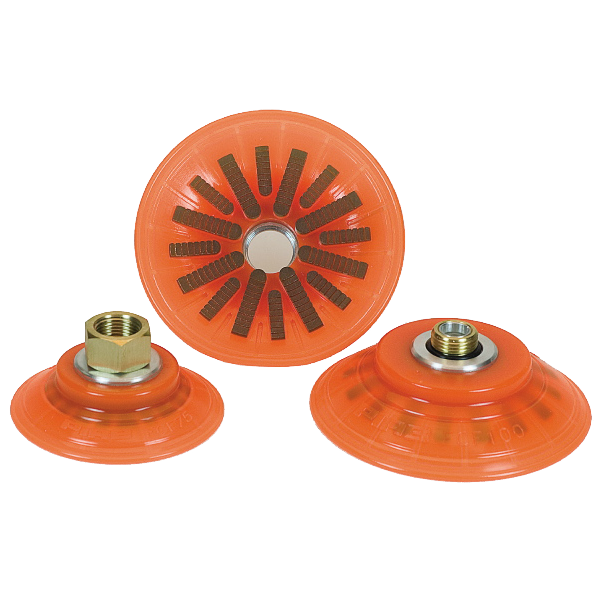 For extremely high temperature applications and or when handling food products. Contact with food or FDA environments, packages, pre-colored plastic parts (high temperature), bakery (detectable), electronics/semiconductor (conductive/ antistatic). Bags with fragile contents and food, bags with liquids, viscous contents and frozen food (low temperatures), open bags. NITRILE-PVC — Oil resistant, a traditionally designed cup. CR — Especially good for low temperature environments, a traditionally designed cup. 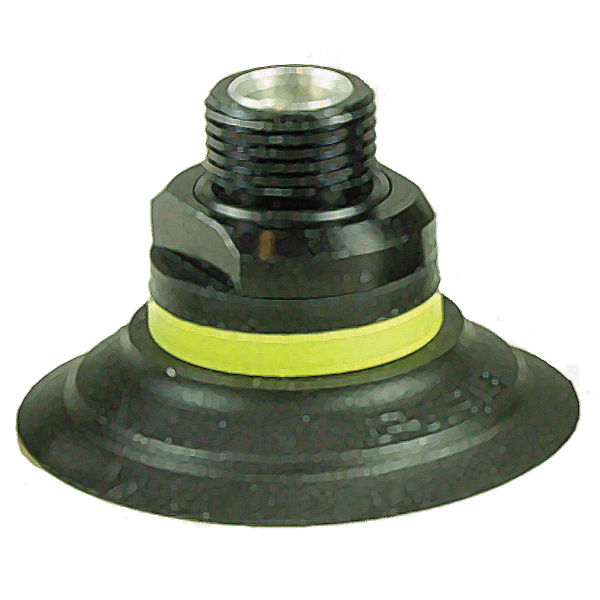 Conventional suction cup material for general purposes. Used in handling hot parts or where silicone or PWIS is not allowed. Mark free. Removing hot plastic parts from injection moulding equipment, glass handling.